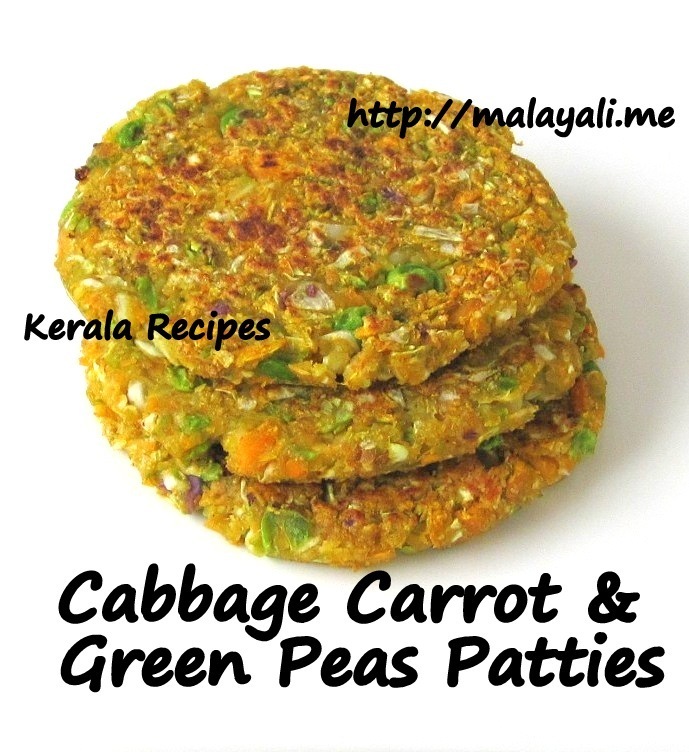 Presenting to you Vegetarian Patties made using Cabbage as the main ingredient. It sure sounds weird but Cabbage being a versatile vegetable, it can be used for making flavorful patties. 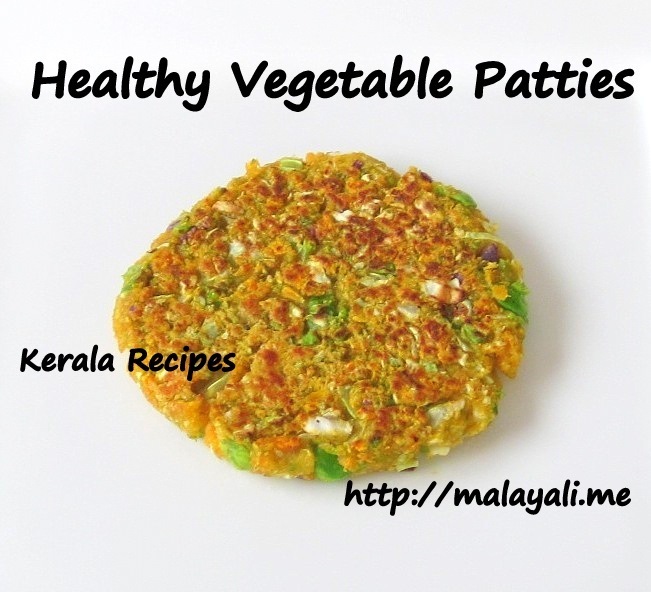 These patties are definitely healthy and a wonderful way to let your kids eat their veggies. Unlike the store bought varieties, these patties don’t use Soy, Tofu or any other kind of imitation meat. Potatoes are not used in this recipe unlike the recipe for Healthy Vegetable Cutlets. Instead green peas and bread crumbs are used as the binding agent. Serve these patties with mayonnaise or make it into a burger with lettuce, tomato and any other desired toppings. If using frozen green peas, thaw it in water. Using a food processor, grind all the vegetables into a coarse mixture. Be careful not to grind it into a smooth paste. Transfer to a bowl and season with salt, pepper, garlic powder, dried parsley flakes and red chilly flakes. Add 2 tbsps of bread crumbs into the mixture and gently combine everything with your hands. Take a small scoop of the mixture and try rolling it into a ball. If it doesn’t hold together, add 1-2 more tablespoons of bread crumbs. Flatten each ball into patty of desire size and shape. Heat 2 tbsp oil a non stick skillet. Lightly fry the patties for around 3 minutes on each side pressing down with a spatula to flatten it. Since cabbage is the main ingredient used, these patties taste best with Mayonnaise. Serve each patty on a bun along with lettuce, tomato and mayonnaise. I made these patties without precooking the vegetables. If you prefer, you may blanch, steam or saute the cabbage, carrot & green peas for a few minutes before grinding it. For convenience, you can use a bag of Shredded Coleslaw Mix instead of whole cabbage. I had this for lunch today. It was delicious. Thank you!